Are you worried you won’t have enough money to live a comfortable retirement? Are you disappointed with your current investment returns from your Super? Have you always felt you could do better? A SMSF may be something to consider then. As a trustee of a SMSF you control the investment decisions. You manage the investments. You are responsible for your own future retirement plans. Increasingly, many peoples retirement plan involves buying property, and many want to use a SMSF to invest in property. 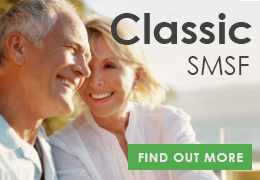 For the past 7 years, Sequoia Superannuation has helped many individuals and couples seeking to navigate the complexities of SMSF set-up and SMSF property purchasing and developments to maximise their retirement finances. And it’s this experience that led to the creation of this 42 page ebook. What are you waiting for? Fill in your details above and a FREE ebook will be emailed to you. You can unsubscribe at any time. There is a gold rush on in the Superannuation Property sector as more and more Australians are turning to property to secure their financial futures. Between 2008 and 2012 the value of real properties held by SMSFs expanded from $40billion to over $55billion. Are you after a simple strategy to plan for your retirement? Would you like to reduce your income tax? Would you like to potentially pay zero capital gains tax on an investment property? Of course you would. And with the right team around you, taking advantage of these points above is a simple process. Sequoia Superannuation and its team of superannuation experts will guide you step by step through the process from start to finish. Sequoia Superannuation has developed a streamlined method for helping you purchase direct property with your Superannuation. In short we take the headache out of the process. Sequoia Superannuation facilitates the whole process for you in 3 simple steps (for non-borrowing) or 8 simple steps (if using a SMSF loan). Alternatively, you can pick and choose the services that you wish. The choice is yours. Firstly, to buy direct property using your Super you need to establish a SMSF. To setup a SMSF please complete the Sequoia Superannuation SMSF Application Form and email this to admin@sequoia.com.au. You will need to also choose the Sequoia Package that is right for you and list this on the application form. Once your application form has been received, Sequoia Superannuation will organise the trust deeds, company establishment and bank accounts to be set up for you. Once the SMSF has been established you will need to rollover your existing superannuation money into your SMSF. Once again Sequoia can assist you in this process. Once you have decided on an investment strategy, if you would like to buy direct property using your SMSF you can apply to the bank for a loan. Sequoia can help you through this process via our recommended SMSF Loans specialists SMSF Loan Experts – let them know that Sequoia referred you for preferential service. Once you have an understanding of how much you can borrow and spend, you start the fun journey of sourcing the property. Sequoia Superannuation even has access to a comprehensive acquisition service that will conduct the required research to help maximise the return on your investment property. Once you have found the investment property you need to establish a special holding trust called a Property Trust and Trustee Company. Please complete the Property Trust and Trustee Application Form and email this through to admin@sequoia.com.au. Sequoia Superannuation are specialists in assisting in setting up Property Trusts specifically for SMSFs to purchase direct property. Once the Bare Trust has been established the bank will give final loan approval & vet of legal documents. Finally the property is settled. What if you do not want to use borrowing to buy a property in your SMSF and you just want to pay the full purchase price in cash? In this situation, the process is much more straight forward as no Property Trust is required. Steps 1 to 3 will be required, however, you can then jump straight to finding the property you desire. Once you find this property you will need to cash settle with funds from your SMSF, with the purchasing entity being your SMSF. For more questions on this, please do not hesitate to contact us. Lastly, Sequoia Superannuation will ensure you remain compliant which requires ongoing administration, bookkeeping, financial preparation & Auditing of SMSF. 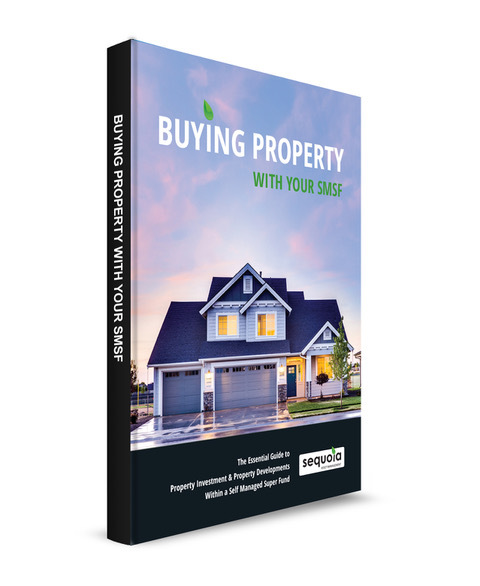 While this process sounds daunting, it is not much more onerous than the normal lending process for borrowing to buy property outside of super. With the help of an experienced SMSF administration firm such as Sequoia Superannuation, gaining approval for a loan, and borrowing money inside of your SMSF to buy direct property and STAYING COMPLIANT is actually pretty simple. For more information please email us at admin@sequoia.com.au or phone us on 02 8114 2290. To protect your retirement and family’s financial future from stock market fluctuations. You can purchase an investment property without one dollar coming from your own back pocket. Borrowing in your SMSF will not influence or affect your individual borrowing capacity outside of super. Have the power of leverage in super that no other retail or industry superannuation fund can access. Never pay capital gains or income tax again on income derived from your investment properties once you reach 60 years old and commence Pension Phase. Take advantage of limited recourse loans, meaning no other assets inside of your SMSF can be used as security on the loan. To have the ability to pool funds with up to four members. This potentially allows you increased buying power meaning greater exposure to more investment choice. Take advantage of Land Tax concessions available to properties purchased in a SMSF. All ongoing costs such as interest, rates and taxes, repairs, insurances and depreciation expenses should be tax deductible to your SMSF. The deductions can be used to offset any contribution tax paid which can add to the performance of your superfund. Assets held in a SMSF are generally protected against any bankruptcy charges. Can I Borrow To Buy Property Inside Of Superannuation? Yes. Recent changes to Superannuation laws mean SMSF’s can borrow to purchase real estate using a structure established for this purpose as long as certain conditions are met. Generally, it is possible to borrow up to 80% for residential property and 70% for commercial. The Property Trust becomes the legal owner of the property, while the SMSF is the beneficial owner and receives the rental income. The rent, and other income received by the SMSF such as investment income and super contributions, can be used to make the loan repayments. The loan is a limited recourse loan. 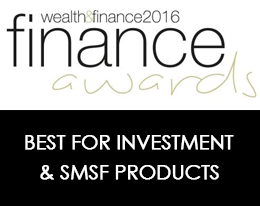 The lender will not have recourse to any other assets held in the SMSF. What Property Can Be Purchased? A SMSF can invest in all types of property including residential, commercial, industrial and listed/unlisted property trusts. Construction loans may not be available. However the SMSF can pay for renovations out of its own funds, but cannot borrow additional funds for this purpose. See our Borrowing Arrangements Flyer for more information on restrictions of using loans to buy property in super. Buying a residential property in your SMSF that you intend to live in is strictly off limits. The purchase must be for investment purposes only (owner occupied business premises are acceptable). Selling a residential property to your SMSF, that you or a related party owns cannot occur. (Commercial property is acceptable). Diversification. For a lot of SMSF trustees, the property may be the only asset the SMSF owns. Not being diversified carries risks, notably, if the property falls in price you can lose potentially all of your invested capital, just like you could if you bought the wrong property in your personal capacity. Leverage. You may have heard the expression that leverage can be a double edge sword. When borrowing to buy an asset, whether it be in super or in your personal capacity, leverage can potentially magnify gains and losses. Liquidity. One of the key requirements for SMSF trustees is that they must be able to meet the ongoing running costs of the SMSF (whether it be fees, or pension payments). If you have all of your money locked away in an illiquid property investment (and you are unable to make cash injections into the SMSFs) you may be forced to sell the property at a loss, or at a less opportunistic price, to meet these requirements. Ongoing documentation requirements. It can become quite onerous for SMSF trustees to keep up with all the initial and ongoing paperwork to make sure your SMSF stays compliant. A specialist SMSF provider such as Sequoia Superannuation can help you overcome these issues. Tax risk. The Government is always changing the rules when it comes to superannuation, so be prepared for changes that may affect your SMSF strategy – for the good or the bad.